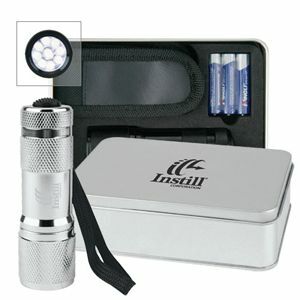 Gifts Ideas - FA60 Super torch gift pack with flashlight, batteries and pouch in tin gift box. Super torch gift pack with flashlight, batteries and pouch in tin gift box. Features: Matte silver aluminum case, 9 bright white LED light bulbs.